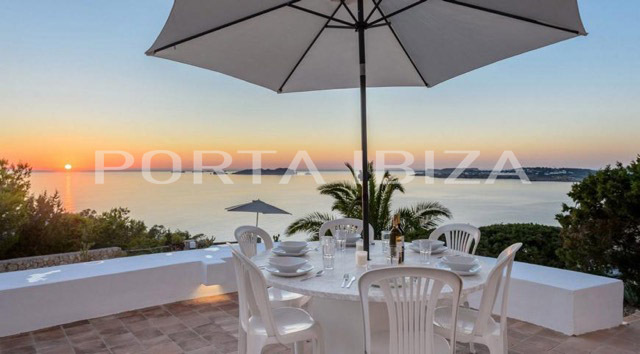 This villa is located very quiet in an exclusive urbanization on the west coast with dreamlike sea views, including spectacular sunsets. 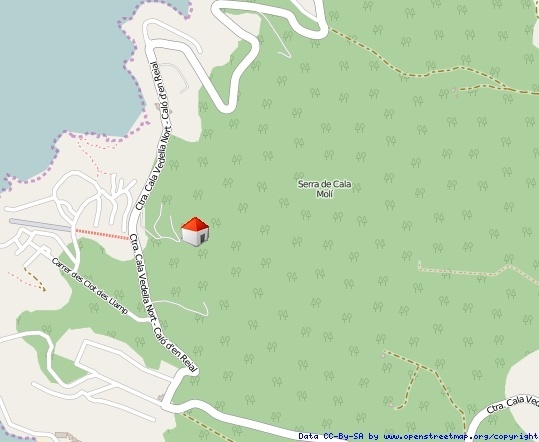 In the urbanization there are three different sea accesses, which can be reached all within a short time on foot. 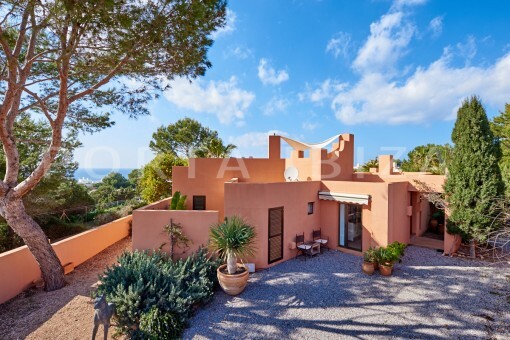 The popular beaches of Cala Moli, Cala Tarida, Cala Conta, Cala Bassa, Cala Vadella, Cala Carbo and Cala d'hort every minute of 5- 15 reachable. 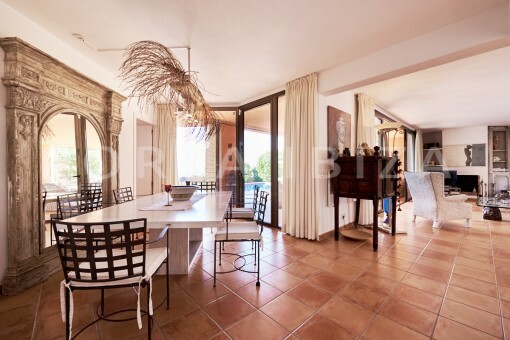 The villa has a living area of 220m2 divided into 3 large bedrooms, 2 bathrooms and an open kitchen with adjoining dining and living area. 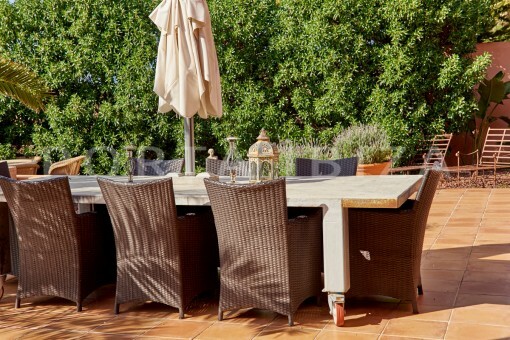 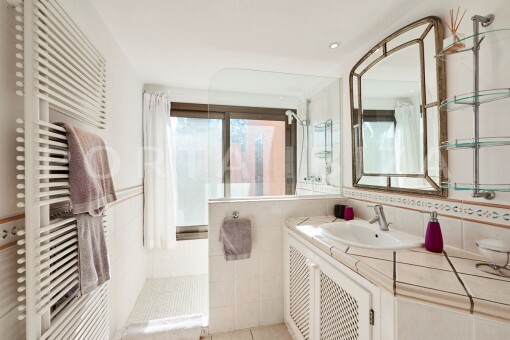 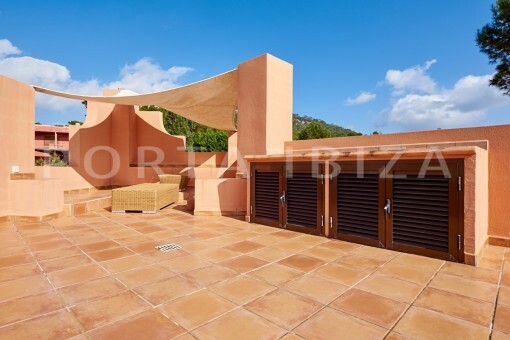 From all bedrooms, as well as from the living area, you have access to the terrace which is partially covered. 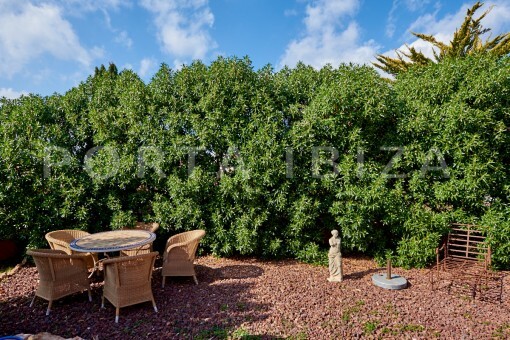 The plot of 1220 m2 is completely walled. 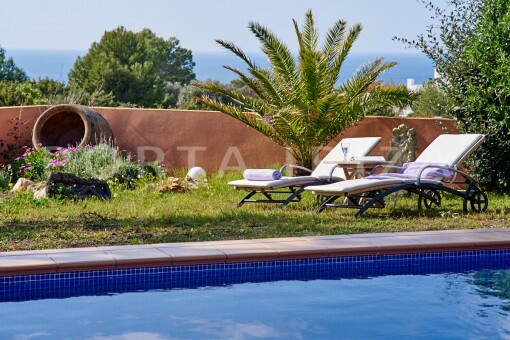 There is a lovely lawn, several chil out areas and a large pool. 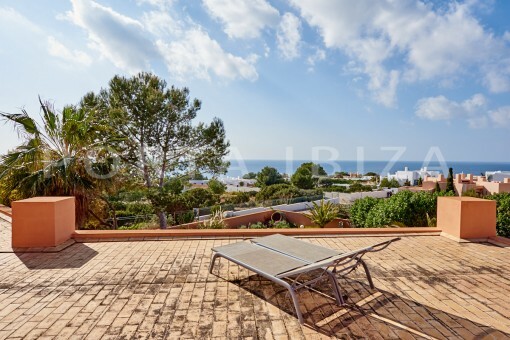 The splendid chill out area on the spacious roof terrace with its incomparable views completes this propertyof a special kind . 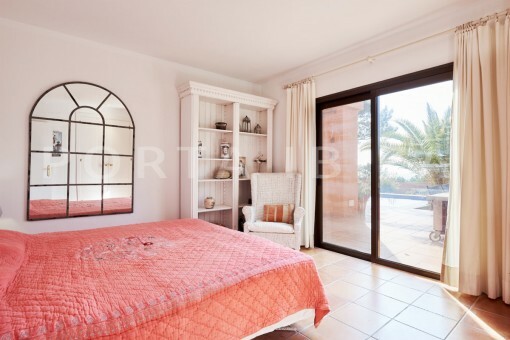 The tourist rental license number is available, which allows an official rental. 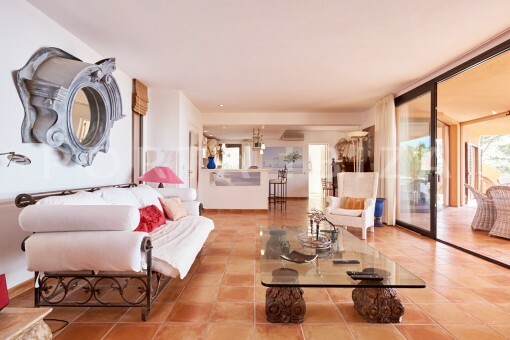 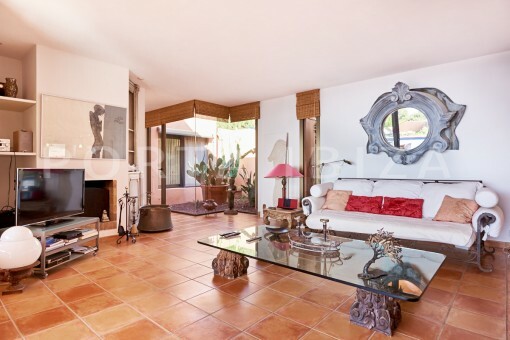 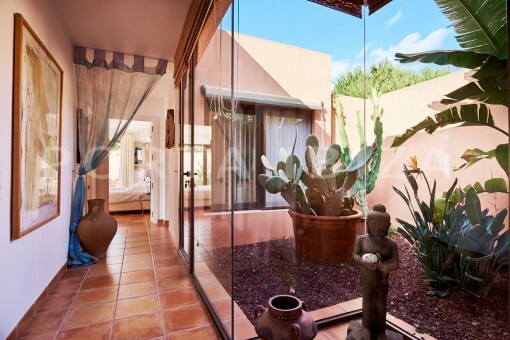 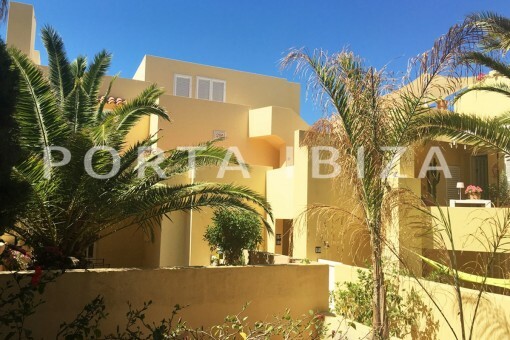 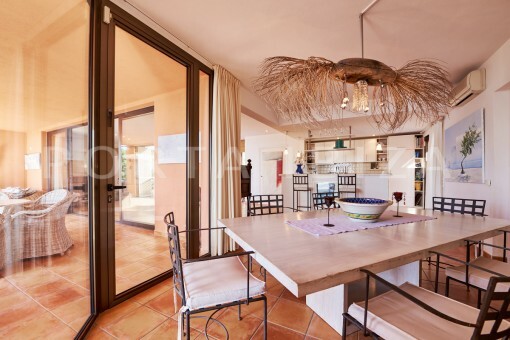 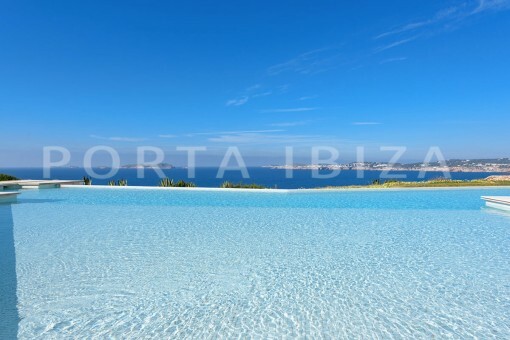 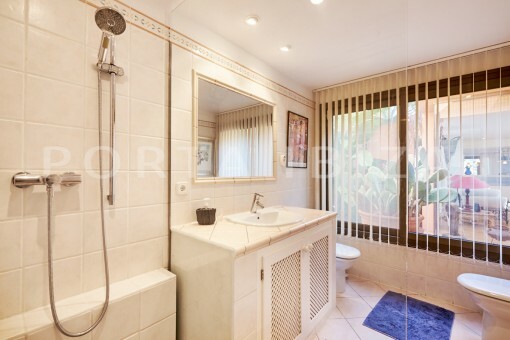 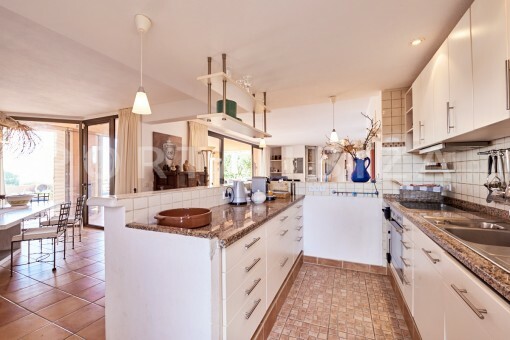 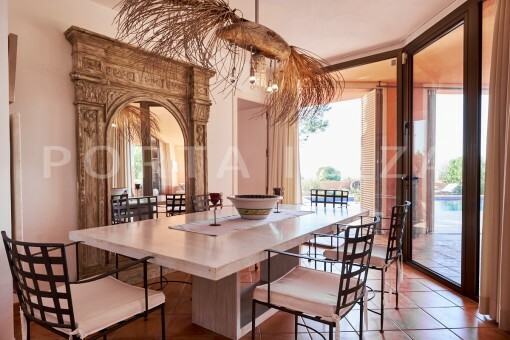 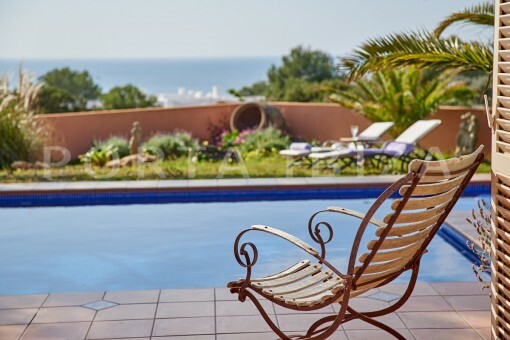 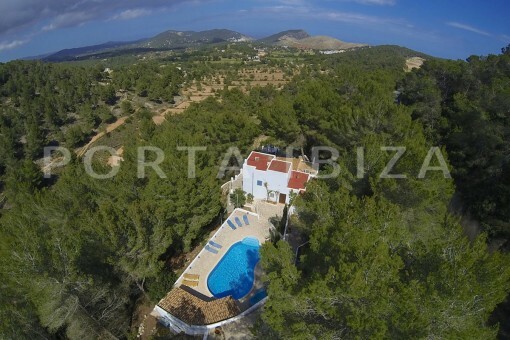 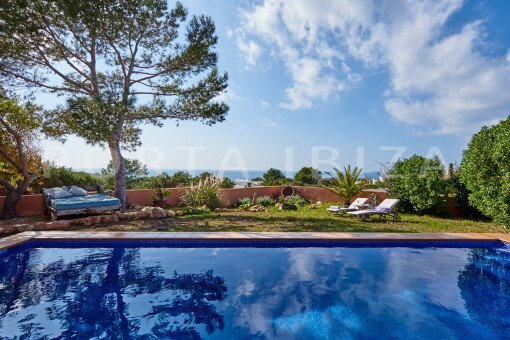 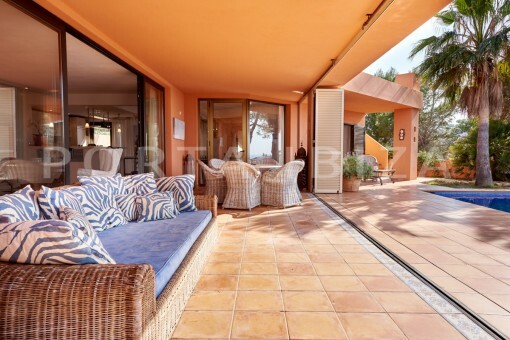 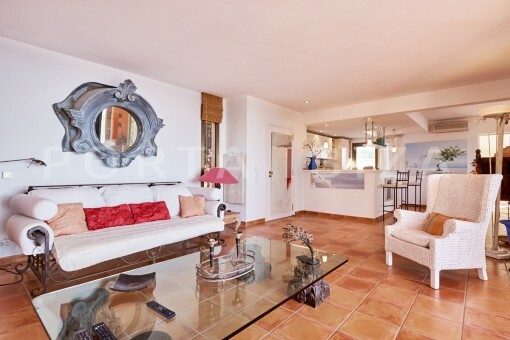 I'm interested in: Gorgeous property with a phenomenal sea and sunset view (Objekt-Nr.101809).